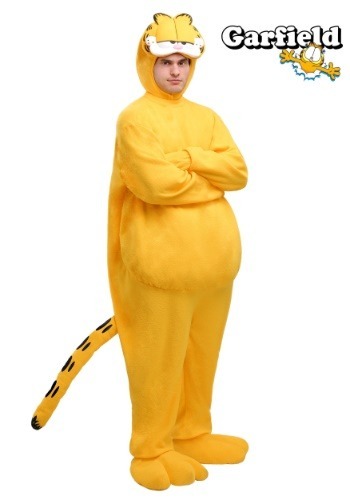 Get ready to become everyone's favorite lasagna loving and Monday hating cat with this plus size Garfield costume! This costume includes an orange polyester jumpsuit that can be slipped on easily though an opening in the back and that opening can be closed with Velcro snaps. 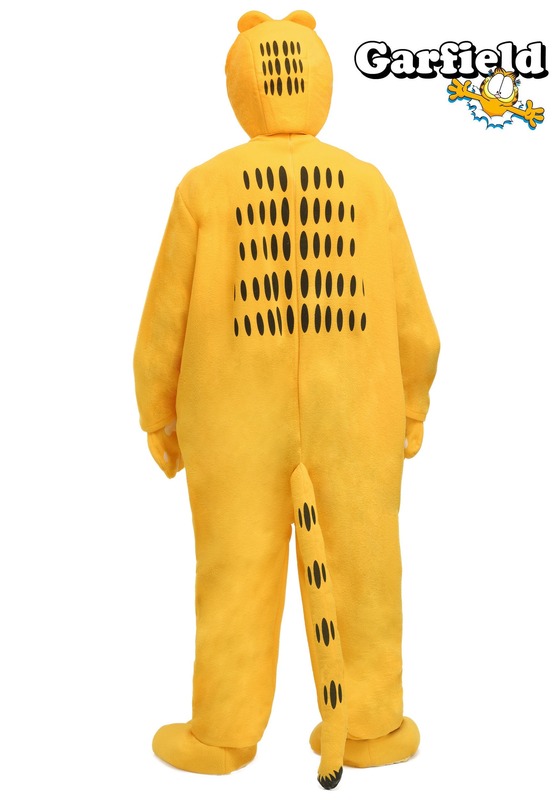 The front of the costume has a foam padded belly and the back and tail features black striped printed on them. The arms of the costume have an elastic band at the wrists and attached mittens. There is an opening at the wrist for the hand to slide out of so your hand movement isn't limited. The legs of the jumpsuit have an elastic band at the bottom. The boot covers have an elastic band at the ankle and on the bottom which allows your shoe to slip in and be secure. The head piece can be slipped on and secured with a with Velcro snap under the chin. On the top of the head piece Garfield's eyes, nose, lip and ears all foamed stuff and there are black strips on the back of it. You'll be all set to give Odie a hard time this Halloween!